Thanks to your feedback, Swimia has turn into in just several months one probably the most critical sites of swimming pools. Here you have all the info we know about YMCA of York County, in York. 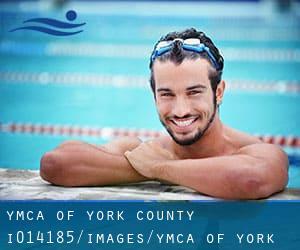 Don't forget you can also promote this pool so YMCA of York County will appear the first of York, or even the very first of your country, make contact with us to know more. Swimmers like you reported 25 yards, Indoors. Unfortunately we do not have the email address of this Swimming Pool, but we can give you the phone number. Updated on 2019 320 E. Market St. , York , PA , USA (Postal Code: 17403). Swimmers like you reported 25 yards, 4 lanes, 3.5 feet-9 feet depth, Indoors. Phone number and e-mail address are number for this Swimming Pool. 2000 Hollywood Drive , York , PA , USA (Postal Code: 17403). Swimmers like you reported 25 yards, 6 lanes, Indoors. Unfortunately we do not have the email address of this Pool, but we can give you the phone number. 602 S. Duke Street , York , PA , USA (Postal Code: 17403). Swimmers like you reported 25 yards, 5 lanes, Indoors. Phone number and email address are number for this Swimming Pool.